Seeing as summer is just around the corner we figured it couldn't be a better time to find out what this sunny fruit is all about. The papaya fruit or 'paw paw' (as it's commonly referred to) has LOADS of nutritional benefits to its name. ​Not only is this tropical fruit mild enough to chow down for breakfast, lunch AND dinner but it's also pretty damn good for your health and beauty too. Its main claim to fame is for its unique enzymes and rich nutritional value. Eating papaya regularly can help aid weight loss, protect your heart and even fight off cancers. Aside from these wonderful health benefits, papaya can also keep your skin looking young, fresh and glowing all year round! So what are you waiting for? To eat, all you need to do is slice and scoop the flesh out - just don't forget the black seeds. Papaya seeds have a sharp peppery taste which may put you off at first, but trust us, they're worth the munch. The seeds are especially good to help flush out toxins and detox the body (particularly the liver and kidneys). When cholesterol becomes oxidized it clogs and narrow your arteries, but thanks to papaya's amazing benefits it can do lots for your cholesterol. Its rich source of vitamins B, C​, E, beta-carotene and lycopene helps reduce the oxidation of cholesterol within your body's arteries, which can only be a good thing! So by increasing your intake of foods like papaya, you can improve the blood flow to your heart, thereby reducing your chances of heart attack and stroke! Don't know about you, but we are all over this. Papaya has special enzymes called papain which act as an exfoliation agent by breaking down the surface of the skin cells, lock in moisture, reduce pore size and keep the wrinkles at bay. Director of natural skincare range, Rhodes to Heaven, Annabel Rhodes says, "It has an incredibly high amount of antioxidants making it amazingly effective at removing dead skin cells as a natural exfoliator and also aids skin repair." ​Which not only means it can give you radiant skin but its exfoliating benefits can also do wonders for dandruff, blemishes and dry cracked heels too! For a quick natural pick-me-up apply fresh thin slices of papaya on your face for 25 minutes. Failing that, try this papaya resurfacing peel from Ling Skincare. We're totally in love! Papaya is great for aiding poor digestion. Its healing powers help take stress off your digestive system helping you metabolise and break down foods faster than ever before! Nutritionist at The Nutri Centre, Lorna Driver-Davies explains further, "Papaya is well-known to support healthy digestion as it contains natural enzymes for general digestion, but in particular protein digestion. For smoother digestion, try Caricol, which is made from 100 % papaya fruit concentrate puree. Lorna states: "It is produced by Buddhist monks in Hawaii who have used it for many years for digestive imbalances such as gas, bloating, loose stools and constipation. "In Sri Lanka they traditionally serve it for breakfast before you eat anything else – sliced into sections with fresh lime juice drizzled on top. It's a delicious and great way to kick start morning digestion." Yum. This mouth-watering fruit can be eaten without having to fret over high natural sugar content which makes it a no-brainer for diabetics! What's more, papaya is also a fantastic source of antioxidants, making it a practical and affordable choice for anyone seeking a guilt-free treat. ​Ladies, it's time to eat your way to younger looking skin. Despite what some people think, ditching the frankenfoods and consuming antioxdant-rich whole foods WILL reflect on your skin. Inside and out. And with papaya's abundance of natural alpha-hydroxy acids (AHAs) it will help make your skin look brighter, plumper and smoother (without the dizzying price tag). ​Furthermore, the "low sodium quality of papaya means it’s amazing for hydrating the skin and increasing the elasticity and suppleness," says Annabel. Sounds like a winner to us! This orange fleshy fruit is an ideal option to help reduce your cholesterol level, which has proven to abate with a fibre-rich diet. For a heart healthy breakie, add sliced papaya to a bowl of natural porridge first thing in the morning. Both foods contain cholesterol fighting fibres which helps eliminate low density lipoprotein (LDL), 'the bad cholesterol' from the body. Even more reason to go papaya crazy! ​Lorna says, "As a good source of folic acid (folate) I would recommend this for women who are considering trying for a baby or already pregnant." The folic acid in papaya is also known to protect your baby from defects during growth, such as spina bifida or any defects of the brain and spinal cord. Nutrient-rich foods are known to help protect the body's natural defense. Like many fruits, papaya is rich in antioxidants. But it's pretty hard to compete with since it's combined with cancer fighting lycopene and another (less well known) carotenoid called beta-cryptoxanthin, which proves to protect against lung cancer. Annabel says, "Research has shown that Papaya is a potent cancer fighter that is highly effective against hormone related cancers as well as other cancers. It can help to stop the growth of breast cancer cells, halt metastasis, and normalize the cell cycle." ​As a natural cancer fighting remedy try papaya extract with green tea. Evidence suggests that the two help slow tumour growth and kill cancer cells. So get sipping ladies! It might be a hell of a long time ago but in 1492, Christopher Columbus coined the papaya as the 'fruit of the angels' for its amazing anti-inflammatory powers. He was obviously onto something as research found that the fruit's proteolytic enzymes can be JUST as effective as many non-steroidal anti-inflammatory drugs. While papaya's soothing properties can also help relieve pain from ailments such as arthritis, edema and osteoporosis. Papaya makes a great multi-purpose balm too. 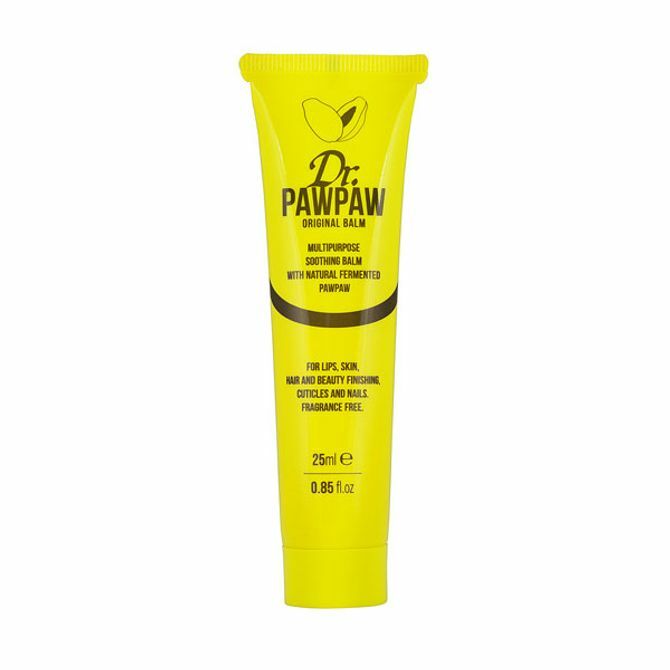 Lorna says, "In Australia they call papaya ‘paw paw’ fruit and many companies produce a paw paw butter moisturiser for lips, face and skin (and babies’ bottoms)". Apply it to dry areas for added moisture or use on scrapes or burns for the ultimate skin healing cure. The uses are endless. 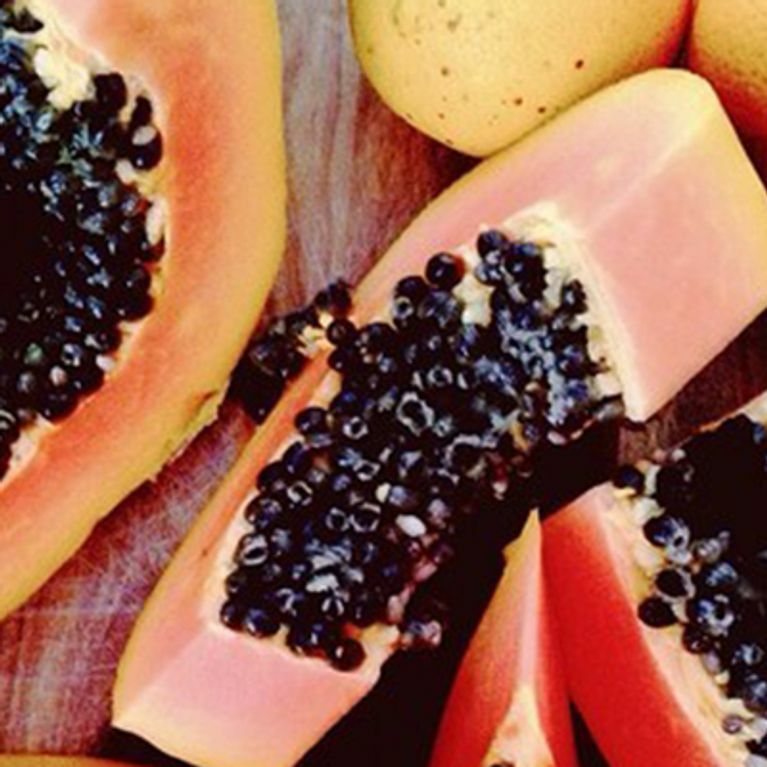 Papaya is another period-loving food we're obsessed with. Just take it from women around the world who regularly use paw paw to help regulate their menstrual cycles, especially during menopause. And because papaya's a natural anti-inflammatory, it's also a great way to help alleviate painful period cramps too! Want to shed that last bit of blubber? Papaya's super enzyme, papain helps to promote faster digestion, relieve constipation and promote healthy waterworks which ALL aid efficient weight loss. ​Furthermore, one cup is only 55 calories so you're hardly compromising your summer beach bod, are we right? Papaya is the ultimate eye insurance! Much like carrots, papaya provides us with carotenoids. Being rich in beta-carotene, carotenoids lutein AND zeaxanthin make it a fab way to help against aged-related macular degeneration (AMD) and cataracts. ​Tip: Try to eat at least three or more fresh fruits per day as studies have proven that it can greatly reduce your risk of AMD. Who's with us? If you fancy a bit of TLC skin care, pamper yourself with our favourite papaya products below! Obsessed. Are you in awe of papaya's superstar benefits too? Tweet us @sofeminineUK!